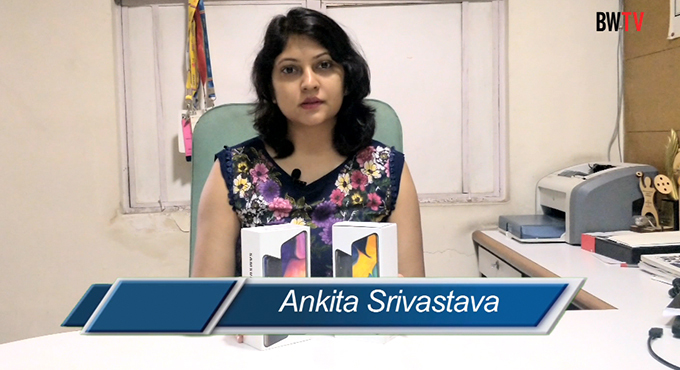 The ITO office complex in Delhi has grown steadily over the last fifty years and is today one of the major work centers in the city. In the early years the only landmarks were Dr Sen's Nursing Home, located on the corner of the railway underpass, and a string of newspaper offices on Bahadur Shah Zafar Marg. In the mid sixties a number of major institutional buildings came up in the area now called Indraprastha Estate, which included the Central Income Tax Offices, the Institution of Engineers, the Delhi Development Authority, the CPWD, the Central Police Headquarters, the School of Planning and Architecture, and several others. Development of a variety of institutional and office complexes now stretches across the entire area defined by the Ring Road and the nallah on the South side of Vikas Marg, and the graveyard and Feroz Shah Kotla Fort complex on the North side. With the addition of the Asian Games stadiums and the Secretariat across the Outer Ring Road, development extends to the banks of the Yamuna River on the East side. This major concentration of offices and institutions accommodates a large number of workers and students whose movement within the maze of buildings calls for careful organized planning both for vehicular circulation and for pedestrian movement across the whole area. Individual buildings are confined within boundary walls, and narrow roads provide access to separate and inadequate parking lots. Pedestrian movement is not organized and is restricted to pavements that flank the access roads serving the complex, which in several locations has been taken over by parked cars and pavement shops. The result is an uneasy mix of cars and pedestrians throughout the area. The ITO complex was developed in accordance with the plan prepared by the Town and Country Planning Organisation (TCPO) and the Municipal Corporation of Delhi (SDMC) is now responsible for its ongoing maintenance. SDMC has to date, made no effort to control the movement of traffic, or to provide for safe pedestrian access through the complex as it changed over the years. They are responsible for having permitted the setting up a large number of shops along both sides of the central access road - one of the major causes for congestion. No action has been initiated to propose overall improvement, or effective maintenance of the complex. What ever has been done in planning terms is poorly coordinated and ill considered. 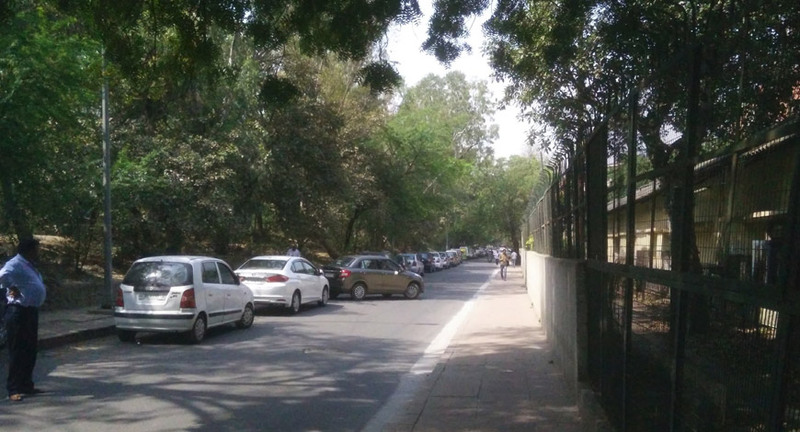 This includes the poor location of both the Pragati Maidan and Indraprastha metro stations, and the positioning of the pedestrian overpass on Vikas Marg and the underpass below Bahadur Shah Zafar Marg. Apart from a number of educational and research institutions, the bulk of the development consists of major government offices. 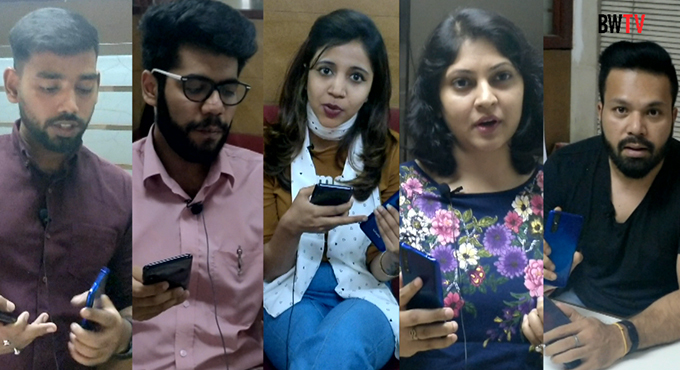 The Central Income Tax Office, The Police Headquarters, and the Delhi Development Authority are all visited by large numbers of people in connection with a variety of different public services. 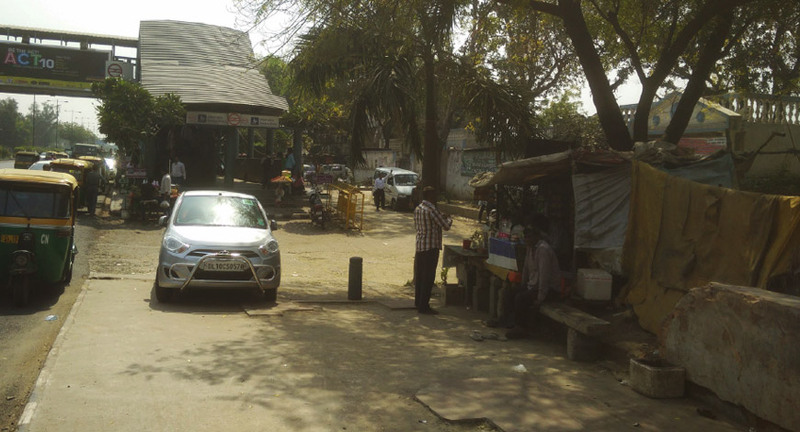 Adequate properly located parking space as needed for visitors has not been provided, and no proper provision had been made for pedestrian movement through the complex. 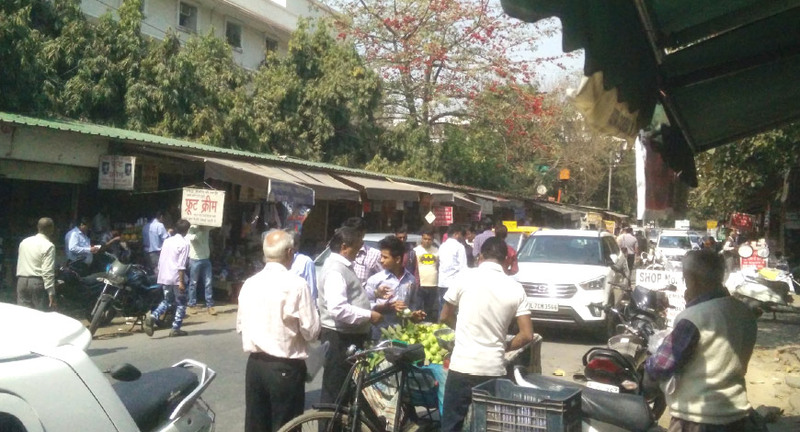 In response to visitor needs a number of small shops and kiosks have come up by the side of the Income Tax Offices along the central road that leads from Vikas Marg towards Azad Bhawan. A variety of services are provided by typists and lawyers, preparing applications and legal affidavits, shops selling stamp paper and stationary, general provision shops, and a number of eating places, located in these temporary structures. While it may be true to say that the need for these elements could not have been foreseen at the time when the complex was planned, some attempt should have been made to adjust to changing conditions by the authorities concerned. Unfortunately most such issues of change have been ignored and overlooked. The second metro station Indraprastha, is also badly located in relation to all offices and institutions, as it also involves a kilometer long walk along Ring Road past the WHO building at the end of the complex and under the metro line, beyond which the escalator leading to the metro station at upper level is located. 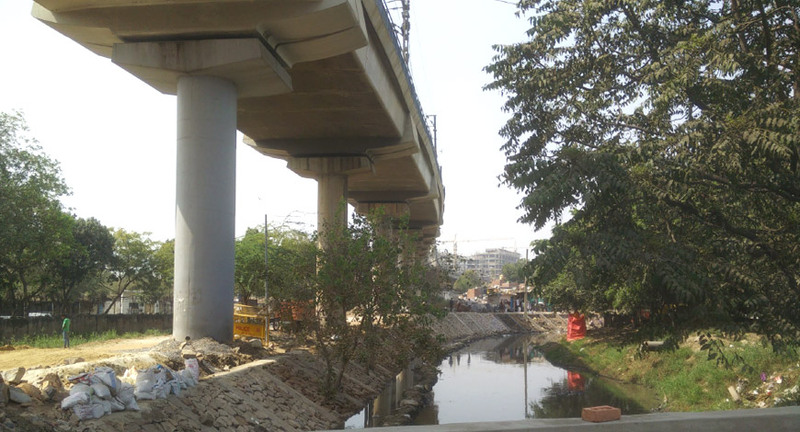 The only metro station within easy walking distance of the ITO complex is the recently opened third ITO metro station at the corner of Bahadur Shah Zafar Marg, but this does not serve the need of large numbers of people living across the river. In this context the proposed ITO Skywalk, is the latest in a series of poorly conceived proposals, which make no contribution towards improvement of environmental conditions. 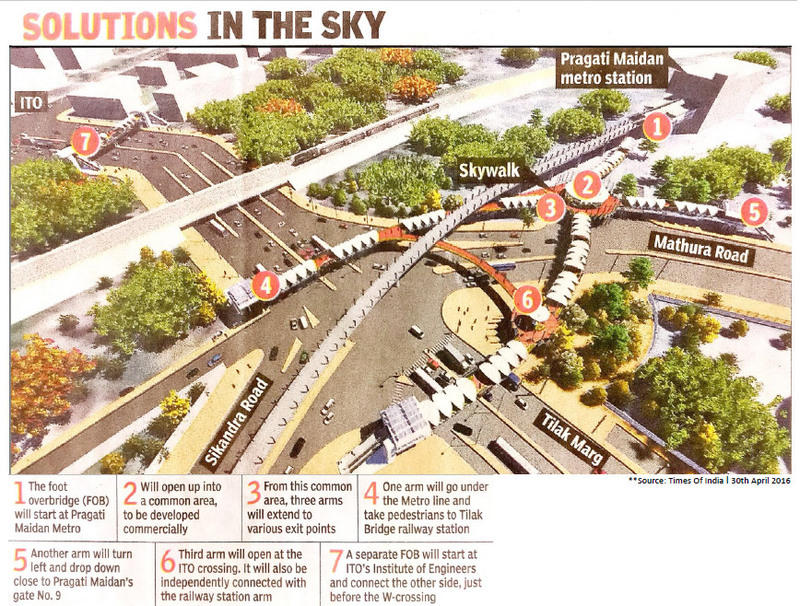 The much touted ITO Skywalk, is proposed to be built on the junction of Tilak Marg and Mathura Road and is being promoted as a connectivity hub. It is not clear what it is connecting to, as it is far away from the ITO complex. 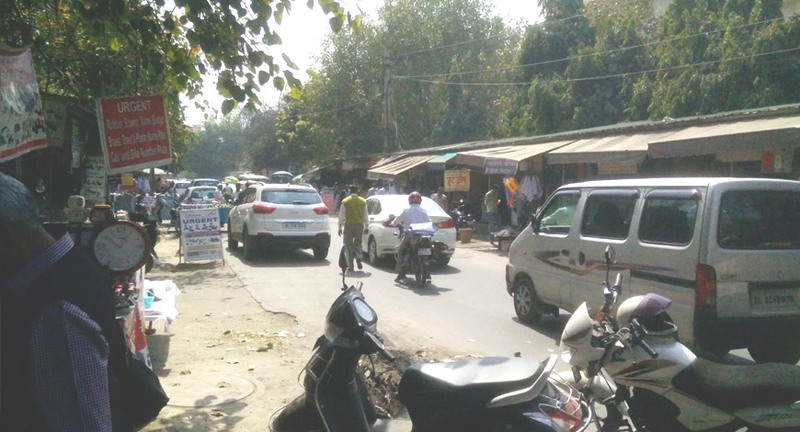 It is also intended to develop a commercial area at high level with coffee shops and small kiosks, all connecting to over bridges across Mathura Road and Tilak Marg. This will be Delhi's longest skywalk costing close to Rs 55 crores of public funds to implement serving a very limited purpose. Instead of spending public funds on a Skywalk, the Delhi Government should get a detailed comprehensive urban design study done for the improvement and upgrading of the entire area that is one of the capital's major Work and Business Centers. 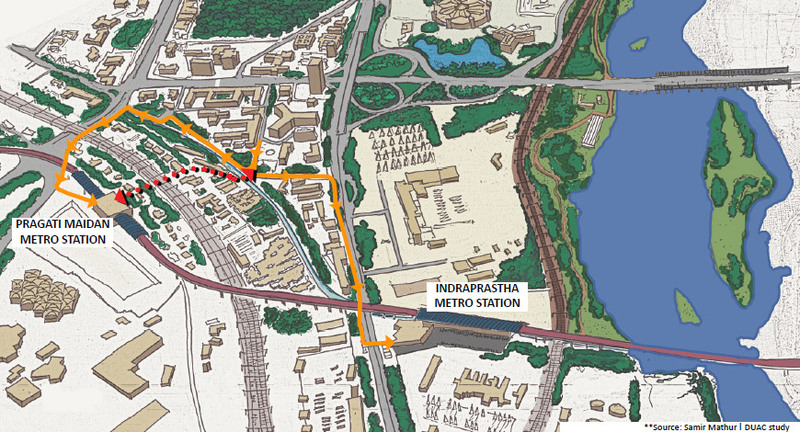 With proper planning this entire complex can be expanded to include the space between the nallah and the railway line, and also include proposals for the future redevelopment of the large 87 acre site across Ring Road up to the edge of the river, lying unused after the closing of the Indraprastha Thermal Power Plant. With the proposal to develop a riverside park extending all the way up to the Rajghat Power station this could become an integrated focus of a major mixed use development, serving people living on both sides of the river. The Delhi Government Secretariat located behind the Asian Games stadium, along with its vast car parking areas, can also be organized for year round use. With imaginative planning this vast riverside area could become a major recreational center, serving the steadily increasing population of the city.